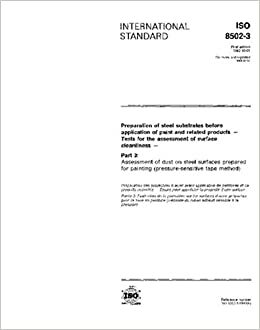 ISO 8502-3:2017 describes a method for the assessment of dust remaining on cleaned steel surfaces prepared for painting. It provides pictorial ratings for the assessment of the average quantity of dust. It also provides descriptive classes for the assessment of the average size of the dust particles.